I’m a fan of Skadi, her sort of being a Red Sonja to Groo’s Conan. 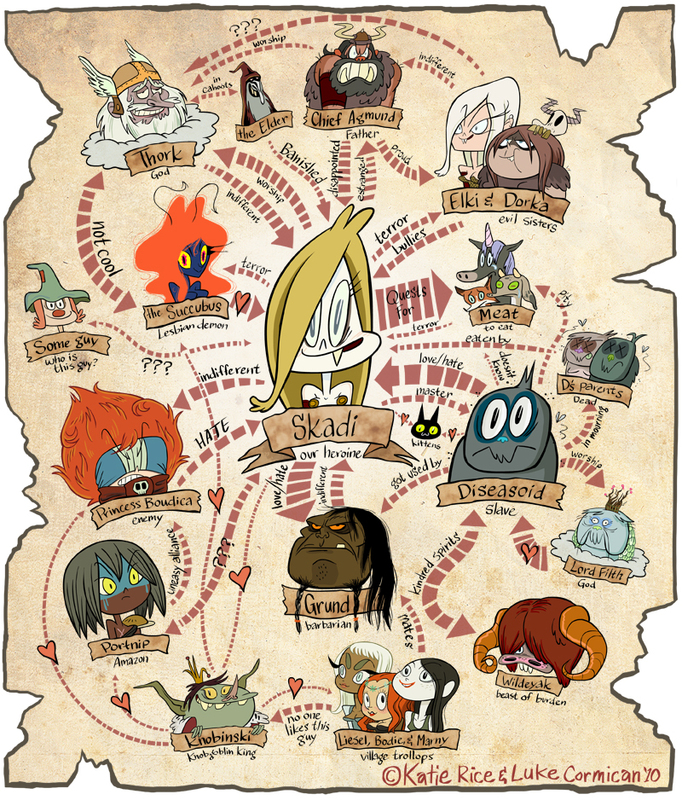 The illustrated relationship map was very cool, though, and struck me as something out of a very slapstick game of Trollbabe. ← Previous Previous post: Learning how to roleplay or remembering how to roleplay?